Aruntara Riverside Boutique Hotel - Chang Khlan, Chiang Mai, Thailand - Great discounted rates! 8.4 out of 10 based on 607 verified user reviews via Agoda. Set in a prime location of Chiang Mai, Aruntara Riverside Boutique Hotel puts everything the city has to offer just outside your doorstep. The hotel offers a wide range of amenities and perks to ensure you have a great time. Free Wi-Fi in all rooms, 24-hour front desk, facilities for disabled guests, luggage storage, Wi-Fi in public areas are on the list of things guests can enjoy. All rooms are designed and decorated to make guests feel right at home, and some rooms come with television LCD plasma screen, internet access ?ÛÒ wireless, internet access ?ÛÒ wireless (complimentary), whirlpool bathtub, non smoking rooms. Enjoy the hotel's recreational facilities, including outdoor pool, spa, massage, garden, before retiring to your room for a well-deserved rest. Aruntara Riverside Boutique Hotel combines warm hospitality with a lovely ambiance to make your stay in Chiang Mai unforgettable. 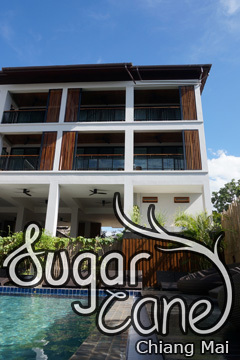 Aruntara Riverside Boutique Hotel - Chiang Mai classifies itself as a 4 star hotel.